The New Testament prescribes two classes of church officers, elders and deacons. The Head of each local church is the Lord Jesus Christ (Ephesians 4:11-16) and the Holy Spirit administers the church in His absence. And He appoints the officers (Acts 20:28). A Spirit-controlled church will enjoy God’s blessing in its work, and wonderful harmony among the people, their pastors (elders, bishops), and their deacons. Who are the elders of the local New Testament church? The term “elder” is used in both the Old and New Testament scriptures in referring to revered family or civic leaders. The term is used in the book of Acts as a title for the primary leaders of Christian churches (Acts 15:2). The apostles of Jesus served as the first elders of the church at Jerusalem and, in time, other men were appointed to this office, too. Whenever new churches were organized, elders were appointed to lead them. Today there is much misunderstanding in the churches about the office of elder, and false ideas have created real problems. Here are three clear and simple facts about New Testament elders. Also Titus 1:5-9 clearly states that an elder (v. 5) is also a bishop (v. 7) and that he should feed the flock with sound doctrine (v. 9). An unscriptural practice of some otherwise strong churches has been the appointment of a “board of elders” who are not the pastors. It is clear from First Timothy 3 that sometimes a church had one bishop (vs. 1-7) and several deacons (vs. 8-13), although the Acts of the Apostles indicates that churches often were led by several pastors. When there was a group of pastors, one was recognized as chief. See in Acts 12:17 and 15:13-29 that James was the leading elder of the Jerusalem church. The emphasis in the work of an elder is leadership. The term “elder” speaks of the respect that should be given him and also the wisdom he is expected to have. The term “bishop” speaks of his responsibility to guide the work of the church and to watch over the members. 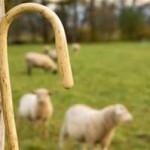 The term “pastor” speaks of his work in feeding the flock of God, and leading it. We are told that the elders rule (First Timothy 5:17, Hebrews 13:7 and 17). First Timothy 3 stipulates that the bishop must be “apt to teach” (v. 2), but no such requirement is made of the deacons (read verses 8-13). Chapter 5 of this inspired book of church polity and practice rewards (in verse 17) the elders who “labour [work hard—Greek] in the word and doctrine [teaching].” The bishops of the New Testament churches were all men called and gifted to teach and preach the Word of God. The practice of putting the congregation under the control of a “board of elders” made up mostly of non-preachers, men experienced rather with organization or finances, but not called or gifted to preach, is not according to scripture. The “honour” given to people in this chapter is money. Note how the word is used in verses 3 and 4, and then read verse 18, which follows the verse quoted above. 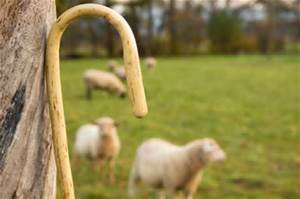 So elders are preachers who are supported by the church and appointed to lead the flock under the control of the Holy Spirit. Deacons were first appointed by the elders and people of the Jerusalem church to solve problems that had arisen in their program to feed the poor and destitute widows in the membership. Read all about it in Acts 6. The word “deacon” is actually a Greek word that means “servant” and speaks especially of his work in ministering to the needs of others. Words related to this title in the Greek are used in Acts 6:1 (“ministration”), Acts 6:2 (“serve”), and Acts 6:3 (“ministry”). Both the elders and the deacons are to be involved in ministering (deaconing), as we can see in this important chapter, but the deacons were given special responsibility over a certain physical ministry so that the elders could keep up with their spiritual ministry. The emphasis in the work of a deacon is service. Certain needs among the congregation were not being met because the pastors did not have the time to attend to them (Acts 6:1-4). The result of this unmet need was unnecessary and fleshly discord among the brethren. The appointment of deacons caused those needs to be met. Deacons are chosen to meet such needs in a church. Notice in Acts 6:3 that both the pastors and the people were involved in appointing the deacons. Note in verse 4 that some of the pastors’ needs were going to be met through the work of the deacons. They lifted their pastors’ burden. See in Acts 6:5-7 that the problem was solved, the need was met, and the work of the church was blessed because of the appointment and service of good deacons! Deacons are to be problem-solvers. They can promote harmony in the church, provide accountability in business matters (Second Corinthians 8:18-21), and provoke zeal in evangelistic efforts. Elders and deacons are vital to the work and life of a healthy church. Proper elders provide the needed human leadership, and proper deacons provide the special service that is needed. An unscriptural trend in many spiritually-declining churches is to direct deacons into improper leadership and to confine elders (pastors) to service and ministry. Carnal “power struggles” arise when churches misdirect their officers. Both elders and deacons minister and both of them have leadership responsibilities, but the emphasis of pastoring is leadership and the emphasis of deaconing is service. Confusing the two brings trouble. Let us give pastors and deacons their proper roles and appoint Spirit-filled men to these offices.